Tuscany is one of the most famous regions in Italy, sitting in the centre of the Italian peninsula. The regional capital, Florence, has been a centre of high art and Italian fashion for decades. 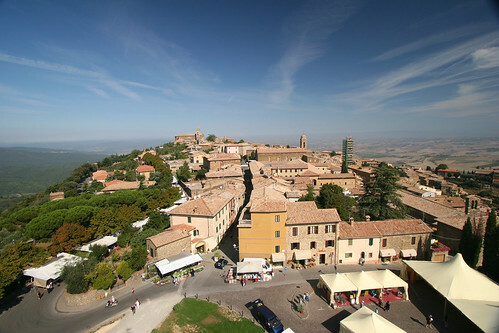 The region is known for its history and landscapes and high culture and was the birthplace of the Italian Renaissance. Places to visit in Tuscany include the Uffizi Museum and Pitti Palace in Florence while there are several other World Heritage Sites all across the region including the city of Siena, the Cathedral of Pisa with its Leaning Tower, the historical centre of San Gimignano, Pienza, and the Medici Villas and Gardens. The region is well-known for its wines with the Chianti being one of the most popular outside of the region. Many of the largest and most famous cities in Tuscany sit on the banks of the region’s river the Arno including the cities of Florence, Pisa, and Empoli. Among the most highly rated places to dine out include the Da Delfina near Carmignano which serves home style cooking and the Il Canto Del Maggio in Penna Alto in the Arno Valley. Definite must tries when in Tuscany are the truffles, the ribollita, and the pappa al pamadoro.